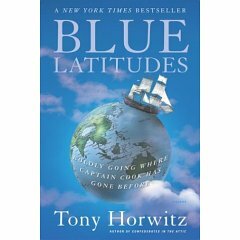 I loved reading about Captain Cook’s explorations in Blue Latitudes: Boldly Going Where Captain Cook Has Gone Before (Tony Horwitz). Although arrogant, he was gutsy. Not that it got him anywhere in the end.